Global Trade & Energy Corp (G-TEC) was formed by a team of professionals with several decades of cooperatively developing Energy companies. The mission of G-TEC is to roll out a World-Wide program of Renewable Energy projects utilizing the collective technology and expertise that has been developed to date by VC Energy through its activities and research which commenced in 2008. The Company is managed by a staff and Board of Directors comprised of veterans of the alternative energy, waste and finance industries. Now in the 3rd generation of technology development, G-TEC has a proven, economically viable, environmentally superior program to deliver Renewable Energy to any location in the World. Generation no 1 was a rotary kiln gasifier which was very effective at gasifying large volumes of mixed biomass to produce a syngas that was fed directly into a large oxidizer. The heat from the oxidizer was transmitted to a HRSG (Heat Recovery Steam Generator) and the steam was utilized to drive a generator. Although simple and efficient, the system was only applicable to the generation of steam and electricity. In 2009 the price of electricity dropped precipitously and has not recovered. The factors that drove the price reduction, reduced energy consumption and lower cost energy production (especially natural gas and oil from shale). These appear to be long term alterations and have rendered a model that depends upon the sale of electricity uneconomical. Adapting to the seismic shift in the market, generation no. 2 focused upon generating a higher quality syngas that could be more flexible in its uses. This pursuit lead the technology team to South Korea and the licensing of the Kentec gasifier. The Kentec gasifier was a major advancement that was supported by IAE (Institute for Advanced Engineering) in Seoul. 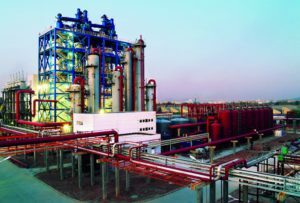 They did not have a commercially operating facility to prove operating parameters and efficiencies but did prove the feasibility of converting syngas to valuable, saleable liquids, including methanol, urea, UAN, diesel and jet fuel. With the data and knowledge of the 2nd generation technology, the team was able to source the 3rd generation technology which has been licensed from Synthesis Energy Systems (SES) in Houston, Texas. This is a fluidized bed, oxygenated gasifier which produces a syngas of superior quality and facilitates the very efficient conversion of the syngas to valuable green liquids through the GTL (gas to liquids) equipment commercially available through several well-known companies. G-TEC has chosen Haldor Topsoe to be the GTL system provider. This combination has documented operating history in commercial facilities dating back to 2008 and is ready for a robust roll out. G-TEC has a proven renewable energy technology system that could transform the waste-to-energy business in the United States and the World. 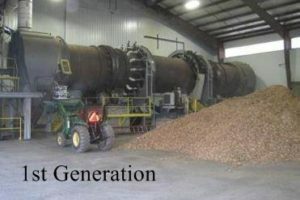 G-TEC has updated decades-old patented gasification systems by integrating modern-day techniques, components and digital controls to develop a transformative technology that creates “green” energy, materially reduces waste volumes permanently stored in landfills, complies with increasingly strict state and federal air emission requirements, is scalable, and generates excellent cash flow without state and federal subsidies and incentives. The G-TEC team includes GTI (Gas Technology Institute) as the major technology partner, VGM (Vertical Gyroscopic Mills) as the feedstock processing experts, SES (Synthesis Energy Systems) as the gasification licensor/ guarantor/ equipment provider, and Haldor Topsoeas the GTL (gas to liquids) technology/ systems provider. Be the most environmentally compliant, continuously operating energy plant in existence. G-TEC believes this program can be of benefit and can be viable for virtually any municipality in the World. Thus, the program and business plan has been designed to meet International standards. Starting with an International focus and as an integral part of the development of the business plan, G-TEC has reviewed technology, technology providers and Engineering, Procurement and Construction Partner (“EPC”) companies around the globe. G-TEC is now utilizing its third generation of technology development which focuses upon the production of renewable liquids. This technology team is led by the G-TEC CTO, Larry Leib, Gasification Technology Institute (“GTI”) and Synthesis Energy Systems (“SES”). GTI is a 70 year old company with over 30 years of experience in gasification. SES has actually commercialized the GTI gasification system with operating facilities pocessing up to 1,000 tons/day of feedstock. G-TEC also has the professional support of project funding from Houlihan Capital (www.Houlihan.com) and B.C. Ziegler and Company (www.Ziegler.com). Together the G-TEC team has the capability of providing a viable Renewable Energy Facility in virtually any location on the Globe that has a stable, credit worthy government. Please use our Contact Us page to provide feedback or to contact us for additional information.